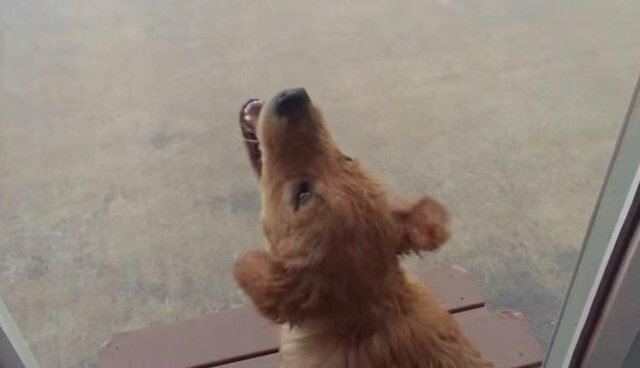 Jack the golden retriever puppy is only a few months old, so there's a lot he still doesn't know about the world. 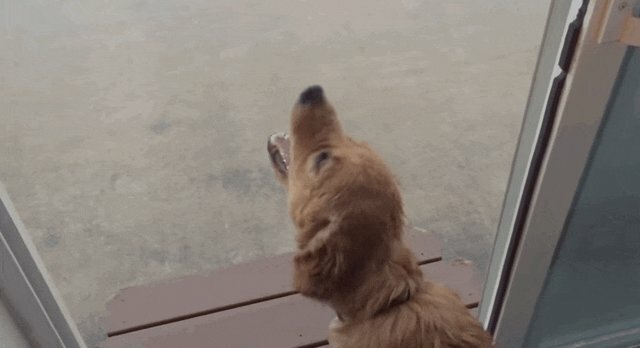 Jack's human captured this video of him seeing rain for the very first time, and his reaction was totally priceless. "Why is the air wet?? Can I eat it? I want to go outside butttt it's kind of scary ... "
Then Jack tries to get as much of his head as possible outside in the rain, while keeping his entire body inside, where it's dry. Good luck, Jack. 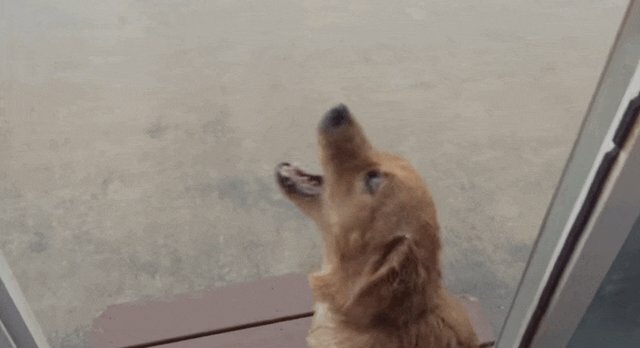 "I can't quite reach this 'rain' stuff." One of the awesome things about the animals in our lives is that they remind us that the world is actually a pretty amazing place. You know, when you think about it, rain IS cool. Thanks, dogs!